Nespresso Vertuo, Tassimo My Way or Dolce Gusto Colours: which is best? We’ve pitted the biggest names in capsule coffee machines against one another in our latest coffee maker tests, to find out which makes the best brew. 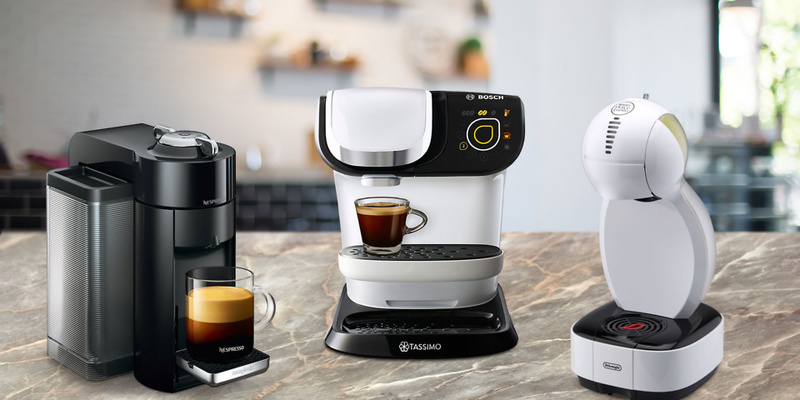 Which triumphed and which trailed behind – Nespresso, Tassimo or Dolce Gusto? Each brand launched new models towards the end of 2017, but not all are worth splashing out on. One model came in near the top of our coffee machine scoreboard, while another languished nearer the bottom with a mediocre 51% score. Also in the ring are compact coffee makers from other popular capsule brands, such as the Illy Y3.2 coffee machine, and an ultra-compact traditional ground coffee machine from DeLonghi. Find out which coffee machines we recommend by checking our coffee machine reviews. Here’s a brief overview of what each model offers. There are three machines in the new Nespresso Vertuo range, all of which use a completely new capsule system known as Vertuo. You won’t be able to use original Nespresso or compatible capsules in these machines, but at the touch of a button you can get four different coffee sizes, ranging from a standard espresso to a Monday morning worthy extra-large mugful. There are two models to choose from: the Vertuo or Vertuo Plus. The only difference between them is that with the Vertuo Plus the water tank isn’t built-in and can be moved to either the side or back of the machine, depending on your worktop space. Its capsule lever is also automatic, so you can swap capsules with a light touch. 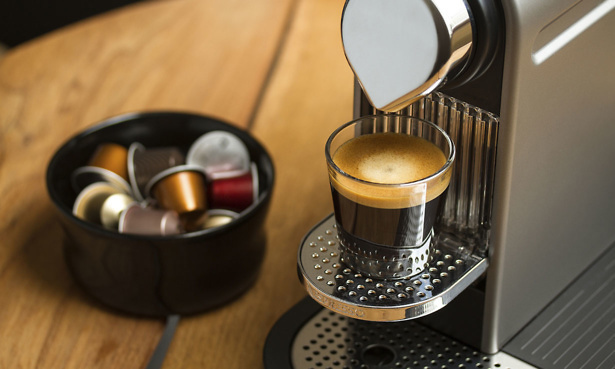 Does this Nespresso machine really offer enough to warrant its higher price tag? Find out by reading the full Nespresso Vertuo review. The Tassimo My Way lets you personalise your drink; allowing you to customise the size, temperature and intensity of your brew. You might also find its auto-clean function particularly handy, as it will allow you to keep your machine clean with minimal effort. 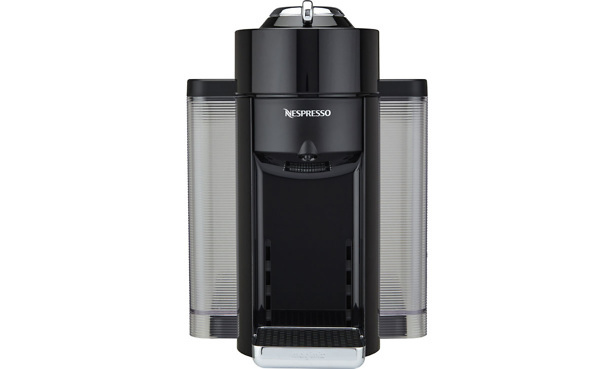 Unfortunately, as with the Vertuo, you’ll only be able to use own-brand Tassimo capsules in this machine. There are lots to choose from though, so you’re bound to find a favourite – it’s worth trying them out before committing to the brand, though. 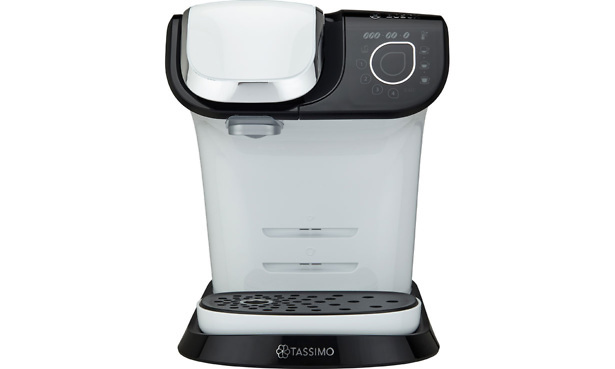 Does this Tassimo machine make a delicious espresso and cappuccino? Find out in the full Bosch Tassimo My Way review. With a stylish design and three different coloured backing panels included, you can easily customise the Colors to suit your kitchen decor, or switch it up when you fancy a change. Like the Tassimo, it lacks the milk-frothing accessory many other models have; instead, when you want to make a milky drink like a cappuccino, you need to use a second special capsule which contains long-life UHT milk. It’s the cheapest of the three, and can often be found on offer for around £60, but does it offer the best value? Find out if this model can really deliver coffee full of flavour by reading our full Dolce Gusto Colors review. In recent years there has been increasing appetite for smaller, more compact coffee machines to fit onto already cramped kitchen worktops, and many brands have now released models in response to this. The Illy Iperespresso Y3.2 coffee machine, for example, is smaller than a kettle. This means that it can fit snugly on your counter without taking up as much space as other coffee machines, some of which are nearly as big as a microwave. When choosing a coffee machine, it’s best to start with what you like to drink and work backwards, rather than committing to a particular type early on. Not all machines can make every type of coffee. 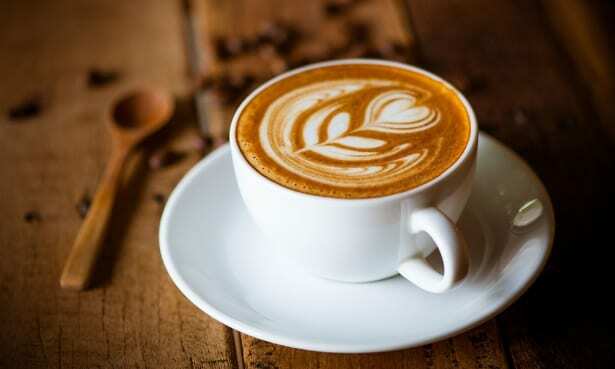 More basic machines will only be able to make espressos, but if you prefer drinks like lattés or cappuccinos, you’ll need to make sure the coffee machine has a milk-frothing attachment included. Our reviews have all the information you need to know before buying. 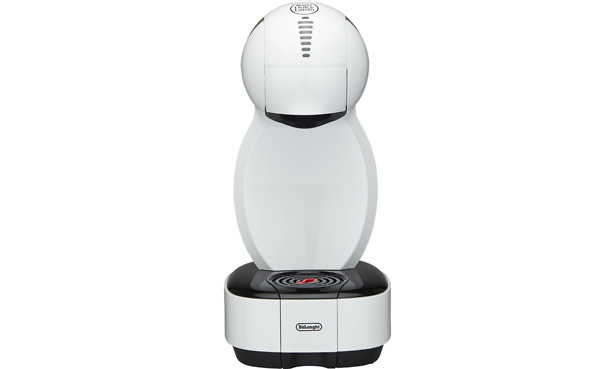 For example, if you’re looking at capsule machines, the Nespresso Vertuo and Illy Y3.2 are well suited to those who like longer coffees over espressos, as they both can make larger mugfuls of coffee with dedicated capsules. Others, such as the Sage Creatista, offer more choice of froth if you’re a milky coffee fanatic. If you’re used to making a pot of coffee when having friends over, then you might also want to check out our filter coffee machine reviews.